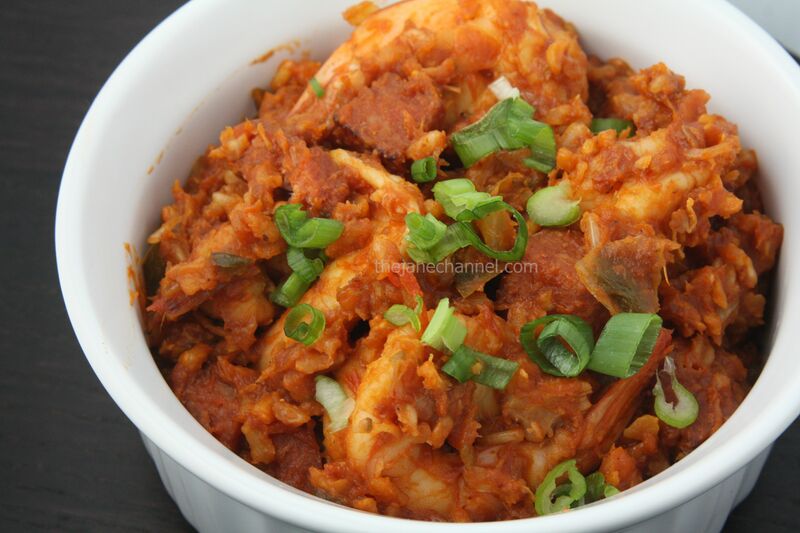 My favorite southern food – Jambalaya – a one pot dish with meat, seafood, vegetables and starch. The rice is cooked with chicken stock, and combined with seafood and meat and seasoned with fresh herbs and a tangy and spicy sauce. Heat oil in large skillet or pan over medium heat. Add turkey, cook for 1 minute or until lightly browned. Add garlic, onions and green pepper. Stirring occasionally for 3-4 minutes. Clear off a space in the middle of the pan. (See picture) Add the chicken and cook for about 2 minutes. Stir in the rice, stock, tomatoes, tomato paste, cayenne, chili, Tabasco, and bay leaves. Turn the heat to low, cover, and simmer for 20 minutes, until nearly all the liquid has been absorbed by the rice. 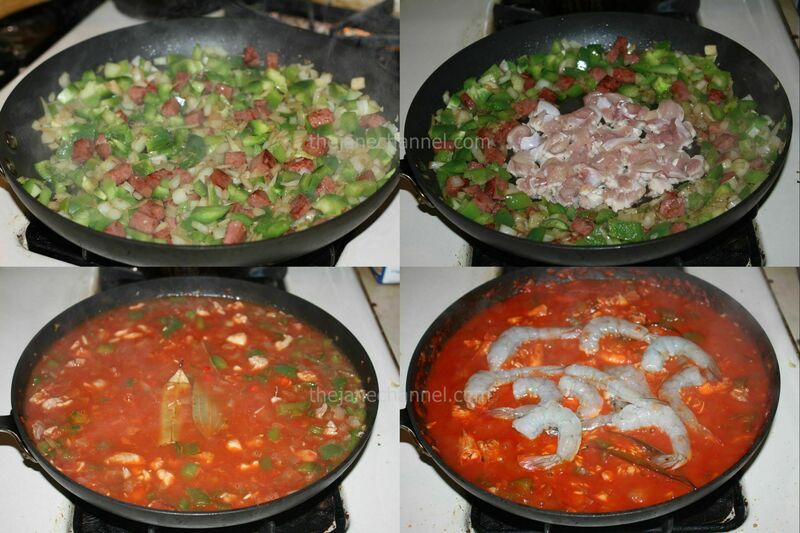 Uncover, add the shrimp, and cook for 2-3 minutes, until the rice is tender and the shrimp is cooked through. Discard the bay leaves. Season with salt and black pepper. Green onions for garnish.